An almost stationary cold front over the north coast and western Cuba brought intense rains to Havana on Thursday and Friday as well as early Saturday. 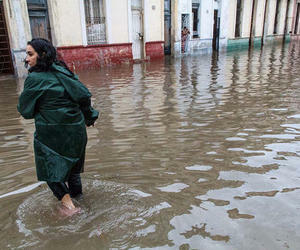 At 9:00 a.m. local time, flooding is present in numerous locations in the capital, especially in low lying areas. The Cuban weather service notes that unstable conditions continue and that considerable cloud cover and precipitation could continue on Saturday. Sunday is expected to mark a change with sunny weather.